Share your memories with style. Optional Stand for 8" x 10" and 11" x 14"
Bring your memories to life with any of our excellent and long-lasting décor products. With four durable and timeless products, your favorite memories will be displayed with style and security. We offer framed prints, metal wall prints, mounted wall prints and photo plaques. 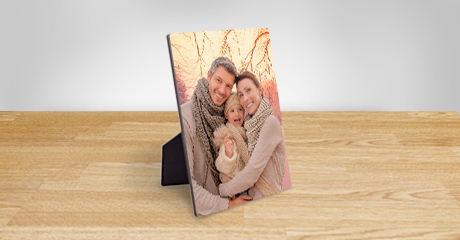 Each item has a special way of displaying your photographs in an eye-catching way. 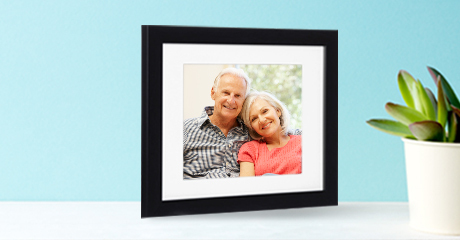 Printing and framing photos have never been easier. Framed Prints come in durable and modern black frames with pre-attached hanging hardware ready to be showcased. You can go simple or sleek by selecting matting with cream core bevel cut for select sizes, or choose no matting for a modern look. 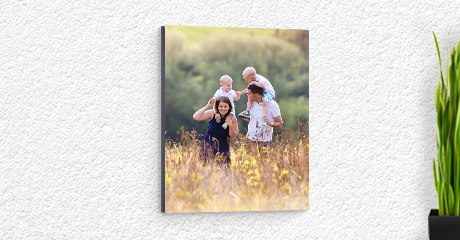 You can also choose the latest and greatest way to display photos with Metal Wall Prints that offer smooth metal panels for radiant displays all throughout your house. 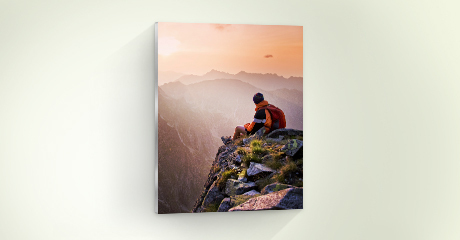 Take home decor to another level with Mounted Wall Prints that liven up any room. 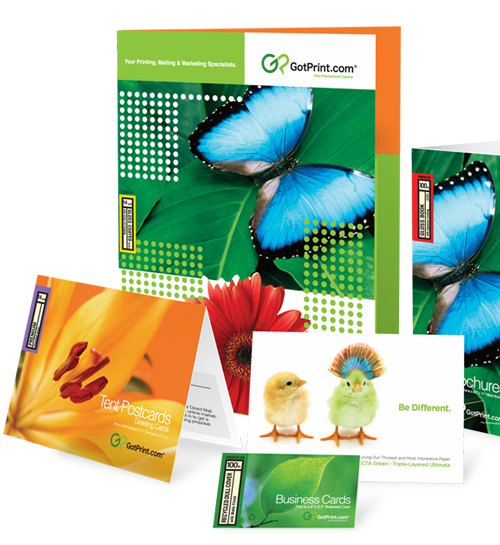 Printed on high-quality archival photo paper with matte finish, the prints are then mounted on durable yet lightweight foam core and enclosed in rigid boards with thick, black faux wood textured edges. Lastly, our Photo Plaques make great gifts for loved ones or co-workers to be displayed in the home or office. Its true color representation brings out the best in your photos, and they are coated for water resistance.